GVL / Hannah Hill Student Senate meeting on Thursday, October 12, 2017. Every 10 years, Grand Valley State University must be reviewed in order to reaffirm its accreditation. For the university, that happens to be next year. However, preparations have been in movement for a while now. At its weekly general assembly Thursday, Oct. 12, GVSU's student senate discussed the university's impending review by the Higher Learning Commission (HLC). Chris Plouff, assistant vice president for academic affairs, shared the process the university has to go through and said GVSU had already undergone what is called a "multi-campus visit" by the HLC in 2016 that assessed its different campuses. Another component of this process is an "assurance argument." The argument is put together by the university to give evidence to the HLC to prove that GVSU has met the criteria for accreditation. The criteria include mission; integrity; ethical and responsible conduct; teaching and learning quality; resources and support; teaching and learning; evaluation and improvement; and resources, planning and institutional effectiveness. Plouff compared this assurance argument to making a case in a court system. GVSU does not enter the review completely blind, however. “They will absolutely give us feedback, and that’s part of the process," Plouff said. In 2008, the HLC recommended new facilities, which led to the creation of the Mary Idema Pew Library Learning and Information Commons in 2013. Plouff asked student senate if they would take time to read sections of the assurance argument, provide feedback and potentially provide any evidence to support GVSU’s argument. Their opinions are sought after as student senate plays a role in the community by working to give students a voice. HLC is currently affiliated with post-secondary schools in 19 states. GVSU’s argument is due Oct. 8, 2018. Other topics discussed at the general assembly were student senate and the GVSU Police Department’s efforts to start working together to combat sexual assault, potential collaboration between the Graduate Student Association and student senate, and the distribution of organizations to each senator that they will then get in contact with. Details of student senate and GVPD’s collaboration are to come. When reviewing a meeting about student senate and the GSA working together, Jonathan Bowman, GVSU student senate president, said, “We were able to bounce off some ideas, and hopefully that will allow us to partner with them and have some more collaboration." Bowman also spoke about the voice that graduate students have at GVSU. In response to the distribution of organizations, student senator Joe Cadreau said he thought it was a good way for members to get into contact with people they might not usually talk to. At the end of the general assembly, three new senators were sworn in. Student senate general assemblies take place every Thursday at 4:30 p.m. in the Kirkhof Center Pere Marquette Room. The university community is welcome to attend. For more details, visit www.gvsu.edu/studentsenate/general-assembly-schedule-100.htm. 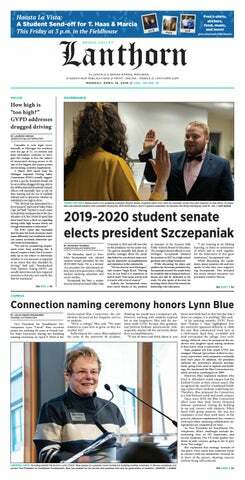 Editor's note: In the original version of this article, published online Sunday, Oct. 15, and in print Monday, Oct. 16, we incorrectly inferred that a quote made by Jonathan Bowman, student senate president, referenced a collaboration between student senate and the Grand Valley State University Police Department. It was in fact in reference to a collaboration between student senate and the Graduate Student Association. This information has been corrected.